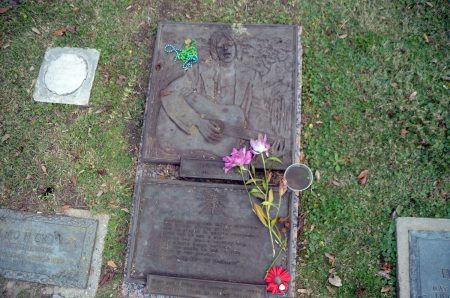 The great singer and songwriter Gram Parsons was not a resident of Louisiana, but a bizarre sequence of events led to his interment here. He was born Cecil Ingram Connor III in Florida, heir to a huge citrus fortune. 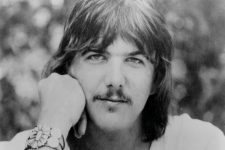 His father committed suicide when Parsons was 12, and his mother remarried Bob Parsons, who adopted Gram and gave him his name. After attending Harvard, Parsons joined the Byrds in 1968 but left the next year to form the Flying Burrito Brothers, a band that performed what he described as “cosmic American music.” Parsons quit in 1970 and traveled, becoming immersed in drug culture and drinking heavily. 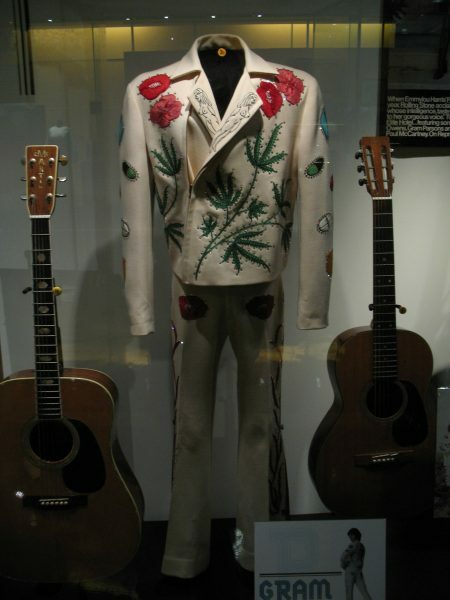 In 1972, he met Emmylou Harris, who sang on his 1973 album G.P. 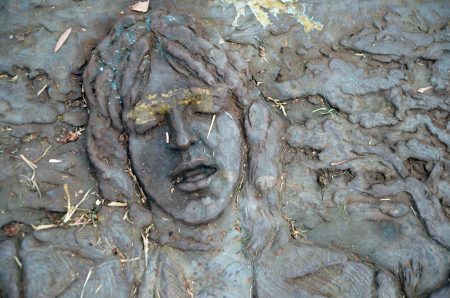 and on Grievous Angel, released posthumously in 1974. 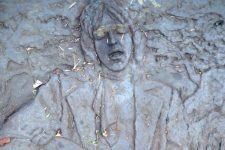 At a bandmate’s funeral in 1973, Parsons told tour manager Phil Kaufman that he wanted to be cremated in Joshua Tree National Park, a favorite place. Parsons then took a trip there and died of a drug overdose. Kaufman later heard that Bob Parsons had arranged for Gram to be buried in Louisiana, hoping to inherit Parsons’ fortune via the state’s Napoleonic Code. Kaufman careened to LAX in a hearse, convinced airline employees that the Parsons family had altered their burial plans, and took Parsons’ body to Joshua Tree. With Parsons’ assistant Michael Martin, he poured gas in the coffin and threw in a match. 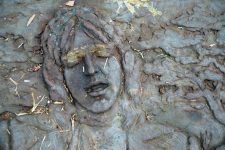 There was no law against stealing a corpse, but they were prosecuted for stealing the coffin and fined on what would have been Parsons’ 27th birthday. Parsons’ remains eventually were shipped to Louisiana and buried in the Garden of Memories. Bob Parsons’ attempt to inherit his son’s estate was thrown out of court. 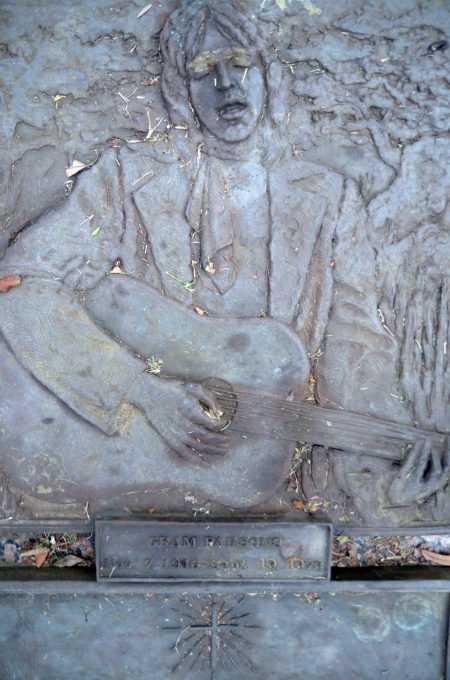 From the 2010 Ponderosa Stomp History Conference, Holly George-Warren with Ian Dunlop on Gram Parsons. 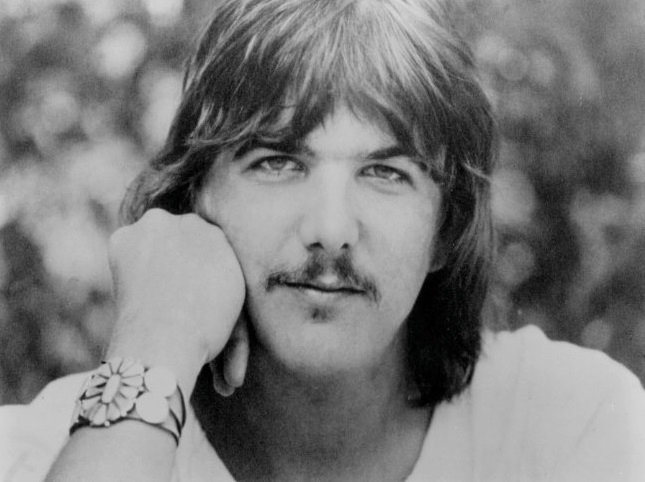 Publicity portrait of Gram Parsons for Reprise Records, 1972. 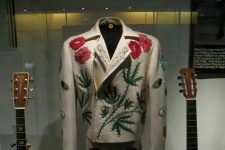 Parsons' suit at the Country Music Hall of Fame in Nashville in 2008. Gram Parsons' grave in 2015.